Are you suffering from poor sleep, insomnia, or do you find it hard to fall asleep and stay asleep? Are you waking up tired and not refreshed. These are common issues amongst many adults and children today. Are you ensuring your body is as relaxed before bed. Are you doing the necessary steps and routine to ensure you get the best nights sleep and wake up rested and refreshed! Pick a bedtime and a wake-up time and try to stick to it as much as possible even on weekend. Bedtime should be no later than 11pm. If you do have a sleep in, try not to sleep in for more than an hour or two so that you can stay on track. 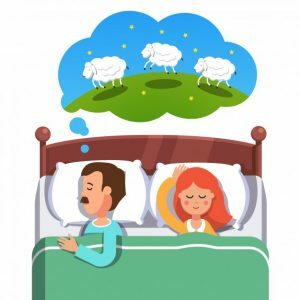 That way, your body’s internal clock—also called the circadian rhythm (body clock) can get accustomed to a new bedtime, which will help you fall asleep better at night and wake up more easily each morning. This is hard for many adults as we are constantly on our phones. However our phones emit a blue light which is sends the wrong signals to our brain to indicate its time to sleep. Our body operates on a body clock and light is plays to a big part to our brains to let it know when its time to sleep and produce melatonin. The blue light which is emitted from mobiles, tablets, computers and tv tells your body’ clock its not quite sleep time. So turn off all screens at least 1 hour before sleep. Having yellow lights instead of the bright white fluorescent globes will tell the body its time to make more melatonin and that it’s bedtime. Switch off bright white lights after dinner and only use yellow globes or dimmers. Its not just what you eat, it is also WHEN you eat.. Having a heavy meal too close to bedtime means your organs are overworked when they should be resting while you sleep. Try and have sometime light for dinner such as a small piece of white protein and vegetables. If you do choose to eat before bedtime then a very small snack such as cereal with banana, cheese and crackers or whole grain toast with natural peanut butter. Don’t have any fluids an hour before bed to limit your trips to the bathroom at night. You should also avoid nicotine, caffeine, green or black tea and alcohol in the evenings, since those stimulants take hours to wear off. Instead opt for a herbal tea such as chamomile if you do need a drink and have it more than an hr before bed. Its common to have dessert such as ice cream or cake after dinner. However this just spikes your blood sugar levels. Fruits should be eaten before dinner and avoid anything too sweet before sleep. Save your desserts for early afternoon instead. Running a warm bath with epson salts will relax you before bed. But if you are time poor or don’t have a bathtub, taking magnesium at night will help you to relax. Magnesium is well known for its ability to relieve insomnia. One study found that it helps to decrease cortisol, the “stress hormone” that can keep you up at night. It also helps the muscles to relax, to give you that calm “sleepy” feeling and help you unwind after a long stressful day. If you find you can’t sleep after 5am, then your room might be too bright. Having a very dark room allows you to wake up slightly later if you find you can’t sleep in the early hours of the morning. Use dark curtains, blackout blinds or eye shades to keep the room as dark as possible. Make sure your bedroom is comfortable and ideal for your sleep environment. It should be set to a cool and comfortable 19-21 degrees celsius. Your bedroom should also be free from any noise that can disturb your sleep and free from any lights. Check your room for noises or other distractions. This includes your partner’s sleep disruptions such as snoring. Use ear plugs, ‘white noise’ machines, humidifiers, fans and other devices. Make sure your mattress is comfortable, firm and supportive. Most mattresses only last 10 years. Having comfortable supportive pillows also help and make the room attractive and inviting for sleep but also free of allergens that might affect you. Acupuncture has been shown to help relax the body, mind and spirit. It can also assist to return your body’s natural body clock and allowing it to relax and de-stress before bed. Acupuncture is also great for treating chronic pain which is the source of many people unable to get a good night’s rest.